Are you noticing that it is becoming harder for your senior family members to leave home because of their disability, a chronic memory conditions, or other health reasons? 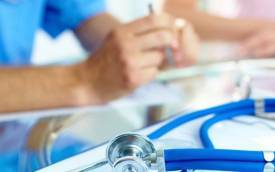 Do they require further care and support at home following a surgery or hospitalization? 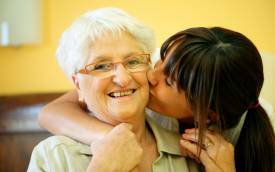 CareBridge Home Health Care services can be tailored to help your loved ones at home. Our Mercer County home care services have helped senior residents lead an independent life without having to leave the comforts of home. 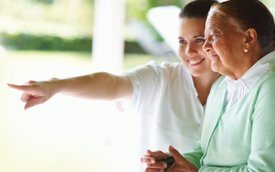 As one of the premier state licensed home health care agencies in Mercer County we strive to offer quality senior care services that promote a continued quality of life. Our non-medical home care services provide assistance with many levels of personal care including bathing, grooming, and dressing. Our home health aides can also help our clients with light housekeeping, meal preparation and shopping. They routinely assist with medication reminders, ambulation, physical therapy exercises, and transportation to doctor’s appointments. These supportive care services can be scheduled to meet your loved ones needs — both on a temporary or long-term basis. Our hourly home care services in Mercer County can be tailored to individual needs and timeframes. We know that family needs are dynamic and our flexible schedule planning meets those demands. We understand that each client and their circumstances are different. And, we can empathize with how difficult a position it is to receive help and to find a qualified health care agency in Mercer County. That’s why our approach to home care starts with a face-to-face discussion with you, as well as, your family to better understand your unique needs. This process helps us determine the appropriate care options that best suit your needs. Whether you need hourly or live-in home care, CareBridge Home Care offers comprehensive and supportive home care services in Mercer County.